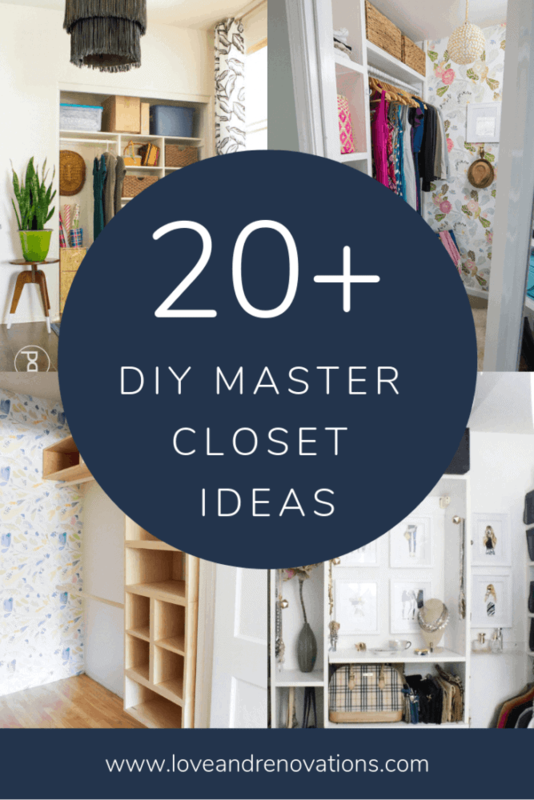 Today I’m sharing a few incredible DIY master closet ideas – these are sure to give you some inspiration for your own closet! We’ve been working on giving our master bathroom a bit of a mini makeover over the last couple of months, and it has me itching to take care of the closet in there too. If you’ve watched our KonMari Method video on decluttering clothes, then you’ve seen our closet and you’ll know that it’s not very small, not super functional, and often turns into a complete disaster. My dream closet would be filled with IKEA PAX wardrobes and would be completely organized and beautiful all the time. Kind of like this one. But, alas, I’m not sure that’ll be in the cards for this house. We’re working to not over-improve since we aren’t planning on staying here long, and we’d rather do something more affordable for now and build the closet of our dreams in the next house. I’d love to take a similar approach to this closet as we’ve been doing with the bathroom – work with the existing structure and layout and just do our best to make things look nicer and function a little better. 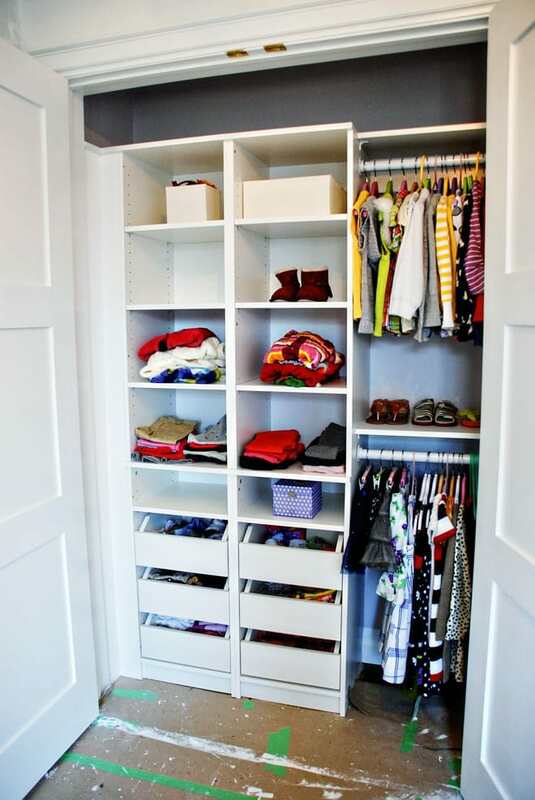 We did a something like this in the master closet in our old house, and it worked so much better for us! 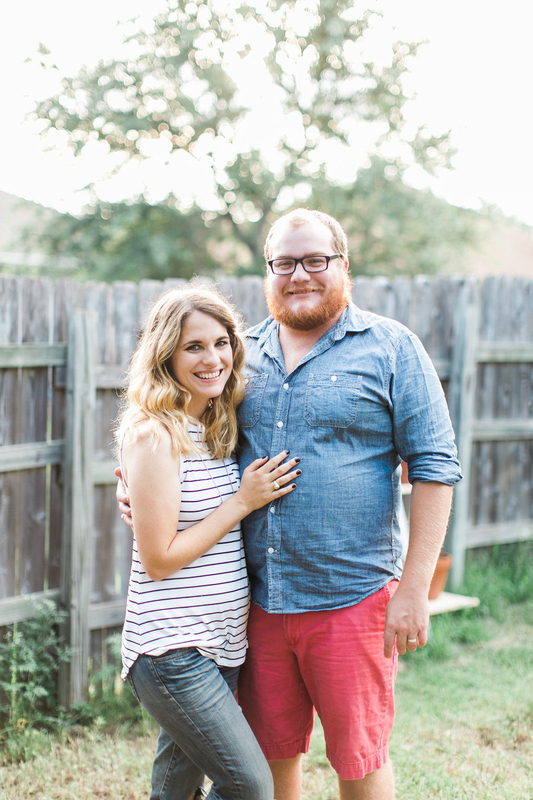 I’ve been scouring the internet for ideas, so I thought today I’d share a few of my favorites! Our closet isn’t as large as this beauty from Polished Habitat, but I’m still getting so much inspiration from it. I love the attention to detail (even a closet can be beautiful!) all of the drawers. Drawers in a closet are key. Also, please, please note the acrylic purse holders. I’m dying. 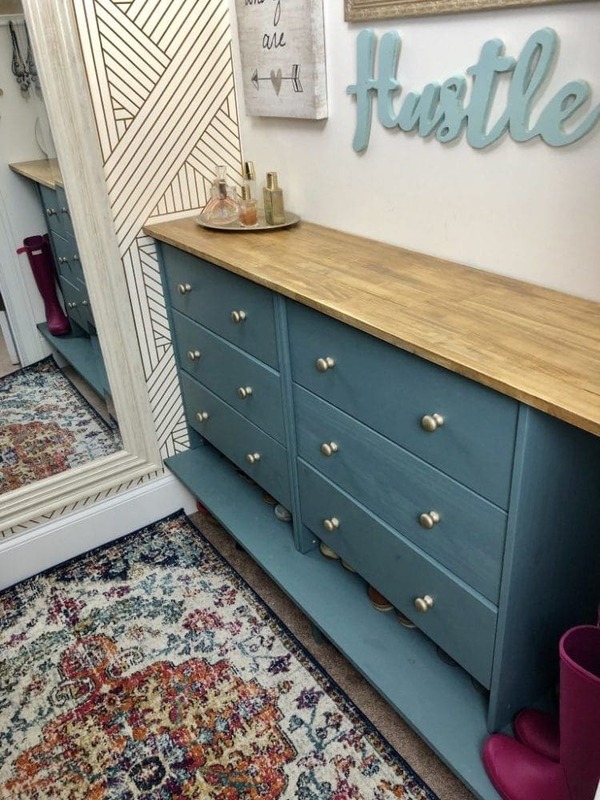 I love how Jen from Rambling Renovators took some basic store-bought closet pieces and turned them into a totally custom closet. This gets my wheels turning for how we could use some towers like that for additional storage in our own closet – may be a great way to utilize the weird corner we have! Carrie from Lovely Etc. built these DIY closet shelves and they’re so good. It’s such a simple project, but it looks like a really high-end custom design! I could really get creative with something like this in our master closet – when you have an oddly-shaped closet the best thing to do is just build it all from scratch, right?! My friend Kelly’s closet makeover (from View Along the Way) will always be my favorite of all time. The wallpaper! The lighting! All those amazing custom storage details! Everything about it is oh so good. There are so many smart touches in this closet from Cribbs Style. I love the modified IKEA RAST dresser (you know I love me an IKEA hack! ), and, of course, the wallpaper is perfection. I actually have a roll of wallpaper sitting around my house just waiting to be used on something, and I have a feeling my closet my just be the perfect spot! 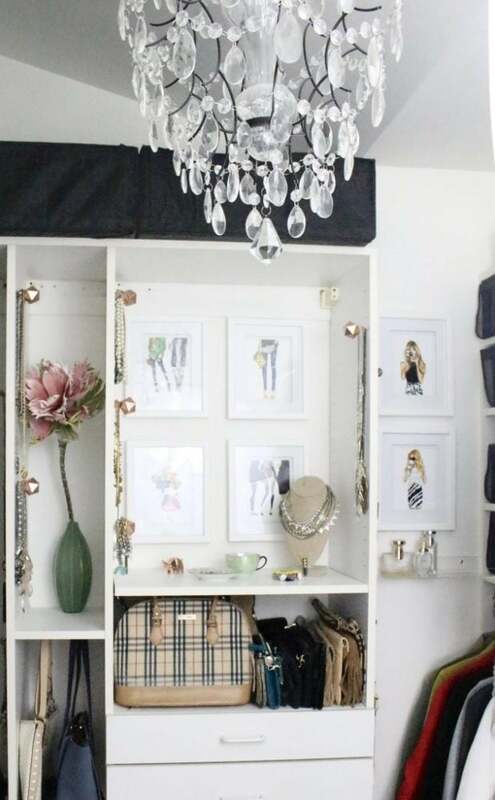 I love how my friend Lindi from Love Create Celebrate used the IKEA wardrobes in her space. The closet is absolutely gorgeous, and it’s a bit awkwardly shaped like ours is, which gives me hope! Also, can we talk about that ceiling?! I can only dream of having a closet as big and organized as this one from White Cottage Home & Living. Amy did a great job of paying attention to every last detail, and it’s totally inspiring me to get creative about how I can make our closet feel this luxurious! 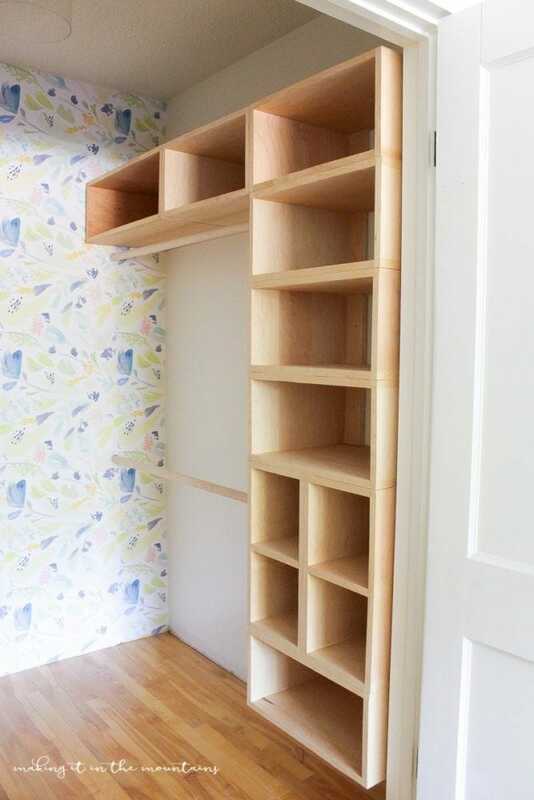 More great DIY built-in shelving ideas from Houseful of Handmade! I just love the reminder that a gloriously organized closet doesn’t have to be expensive or difficult – just some simple shelving can go a long way. 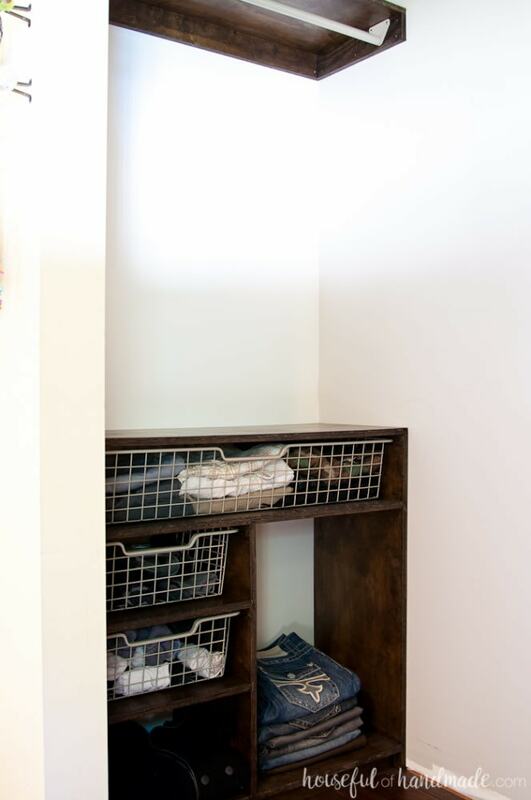 This DIY closet system from Elisha at Pneumatic Addict has me feeling aaaaall sorts of inspired to just custom-make something for our closet. She makes it look so easy! Who would have guessed that these shelves weren’t there all along?! And finally, another closet (this one is from Making It In the Mountains) that combines all of my favorite things. 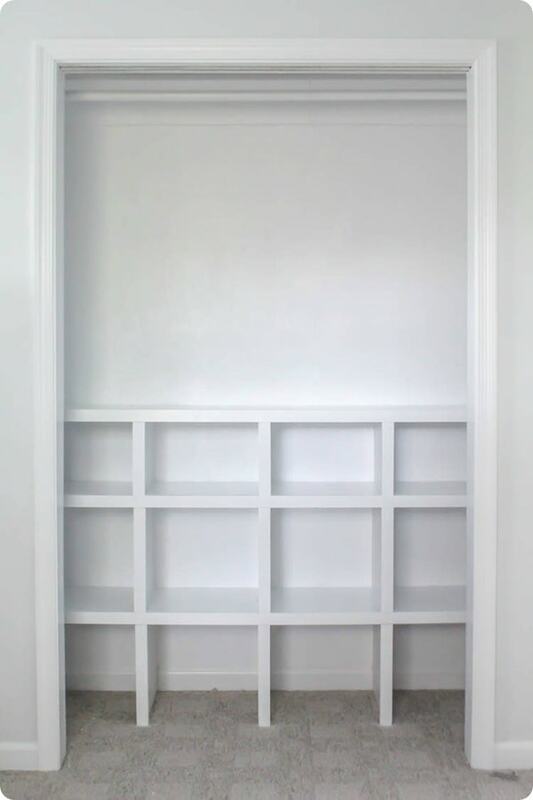 DIY built-in shelving. Wallpaper. Tons of storage. I’m swooning. This closet proves that store-bought systems can feel totally custom. I can only dream of having the dirty laundry organization system that this closet has. So genius! This DIY industrial shelving system would look great in a more open space. And again, such a good reminder that DIY-ing something like this isn’t too hard! Another reminder that attention to detail can make all the difference. This closet feels so glam! Talk about dream closet. Holy cow! More proof that IKEA shelves + wallpaper is my love language. If you ask me, there’s no better place than a master closet for a fancy, statement light fixture! 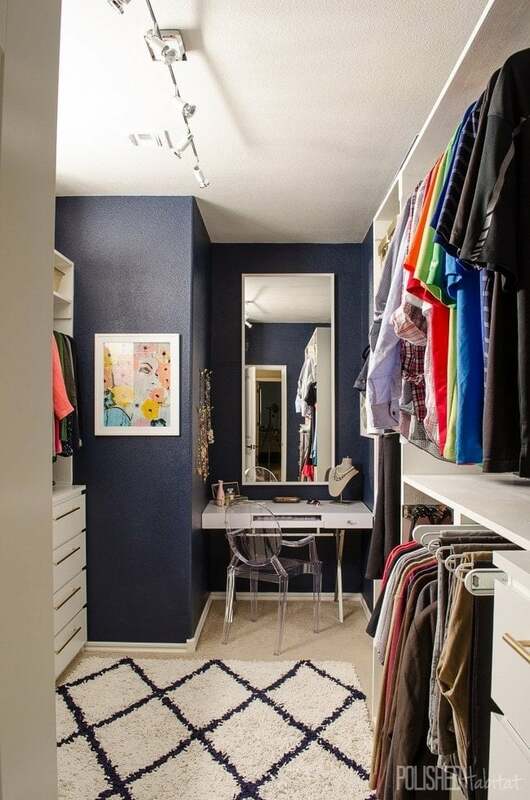 This isn’t what we have planned in our closet, but I love how Adam took an under-utilized space and created built-in closets! Genius! 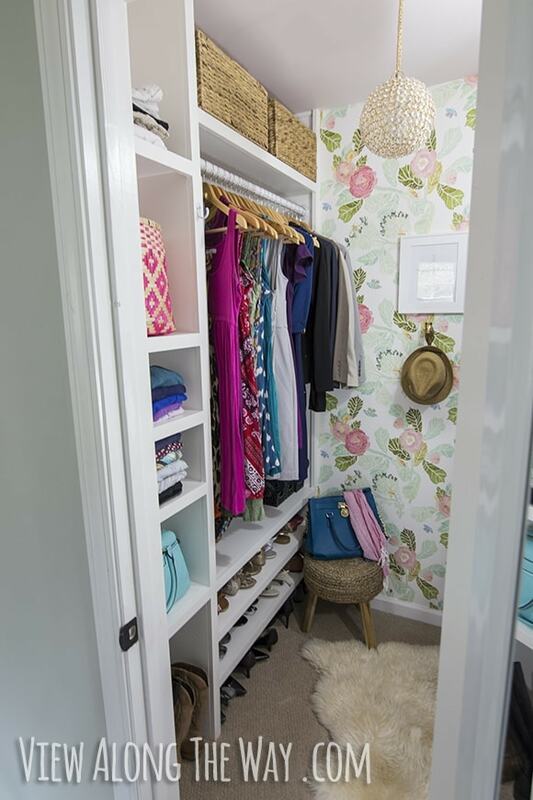 Here’s some more proof that a tiny closet really can look special and be absolutely gorgeous! Hello, tiny closet with big storage potential! 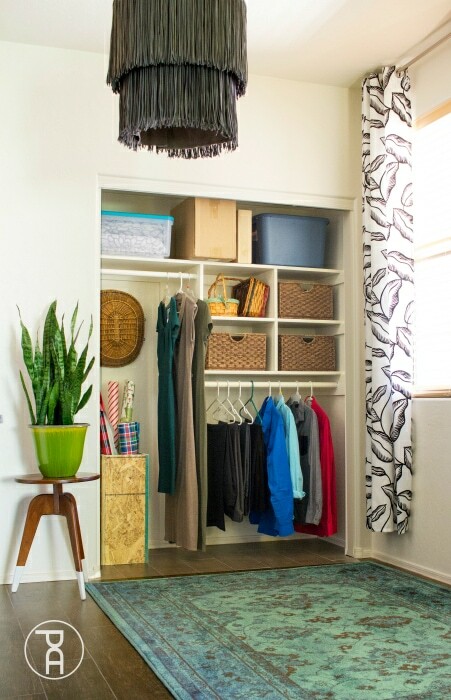 And finally, I love these tips for how to totally transform your closet! Alright, I don’t know about you, but I’m feeling like the closet of my dreams (or, at least, my dreams for this house) might actually be within reach. Maybe this master bathroom makeover will inspire me to get our closet whipped into shape. I’d love to hear what works best for you in your closet! Any genius tips for me? !